It was a busy day at Orphans of the Storm® with some very happy adoptions, but there are always more pooches to meet! 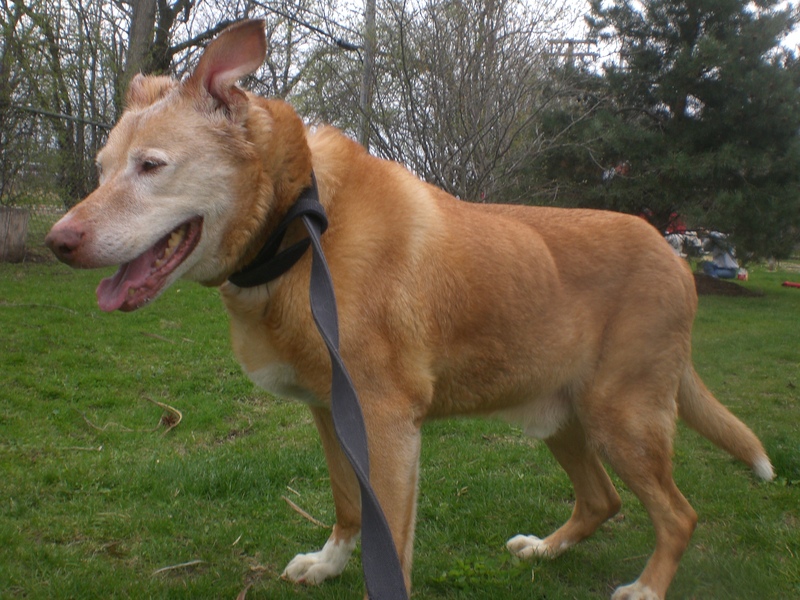 Archie the twelve-year-old Labrador Retriever mix has officially stolen my heart. His face may be getting gray, and his back legs may not be as flexible as they once were, but he still has plenty of joie de vivre and just wants someone to love him. Archie is an excellent walking companion, and an excellent companion overall. He absolutely loved getting his neck scratched and gave me some sweet doggy kisses as a thank you. Archie is a big boy, but he thinks he’s a lapdog. He kept trying to scoot backwards onto my legs when I was kneeling next to him, but when that didn’t work he just laid down in the grass next to me and enjoyed some snuggle time. When he found an interesting smell in the grass, he rolled around like a puppy! Archie is a laid-back guy who wants nothing more than a soft bed to nap in and a nice family to appreciate him. He broke my heart when I put him back in his kennel, though; he started crying and stuck his paw through the gate 😦 I would’ve taken him home that very minute if I could! Come into the shelter soon and see for yourself how amazing Archie is. 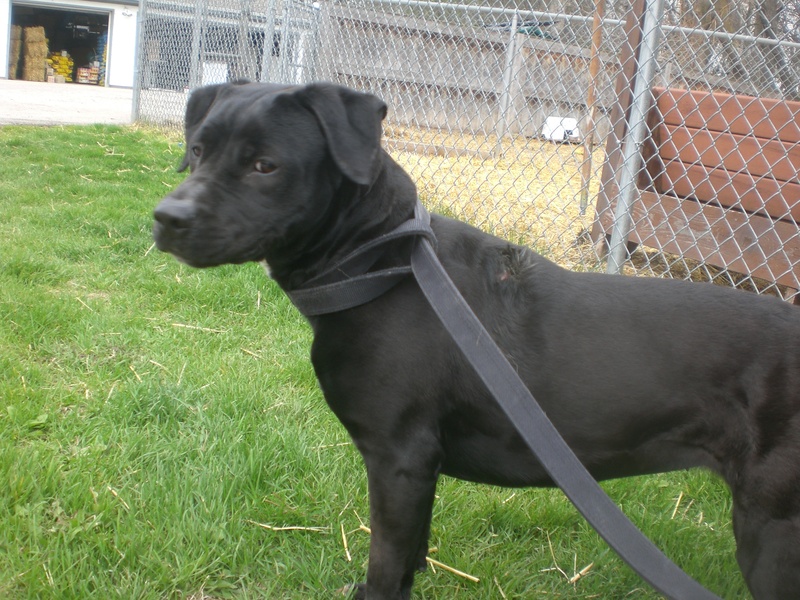 Sydney the one-year-old Labrador Retriever/Pit Bull Terrier mix is a little bundle of cute. She seems like she’s going to be a permanent puppy, in both appearance and personality. Since she’s over a year old, she probably isn’t going to get any bigger than her current size. She is also incredibly playful. As soon as we got in the off-leash run, she found a soft squeaky toy and started to play fetch with herself by throwing the toy in the air and pouncing on it. Sydney loved her toy so much, in fact, that she carried it with her when we left the off-leash run! Her new owners should be prepared to spoil her with lots of fun toys. Sydney was very interested in all of the other dogs that were out and about, but figured out that it was best to sit nicely and watch from a distance rather than pull on the leash. 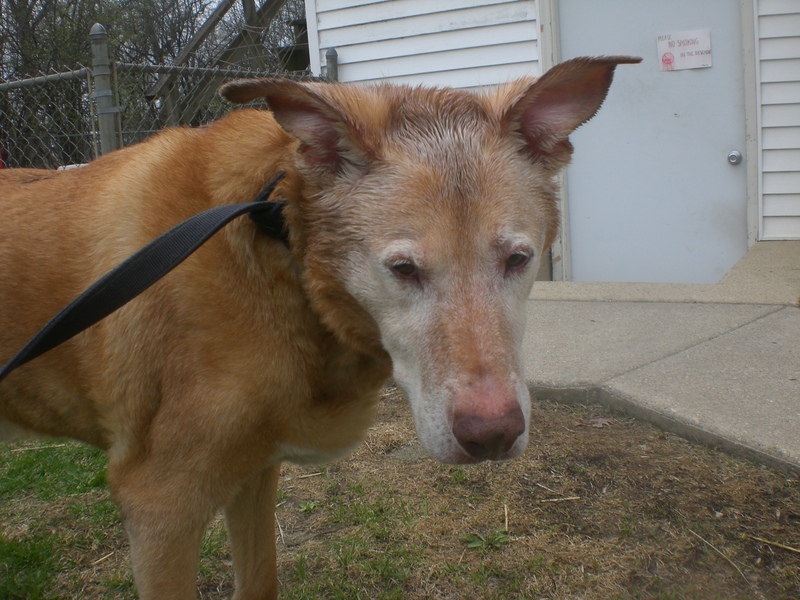 Sydney might be a little too rambunctious for little kids, but she would love older kids who can keep up with her! If you’re looking for a playful, adorable companion, come in soon to meet Sydney! Sydney’s puppy face, with wrinkly snout! Murphy the two-year-old Husky mix is one good-looking pooch. I helped him pose for his official picture on the website, and it just took a couple of tries to get the perfect shot. It’s not hard to be a model when you’re as handsome as Murphy! Murphy is a fun dog to be with. He had a great time chasing tennis balls in the off-leash run (though he wasn’t the best at bringing them back to me) and wanted to race the dog on the other side of the fence. Murphy is one of those dogs who loves to give doggy hugs. While he’s doing that, he appreciates getting a good scratch on the neck or behind the ears in return. Murphy’s tail is almost always wagging, and he always has a smile on his face. 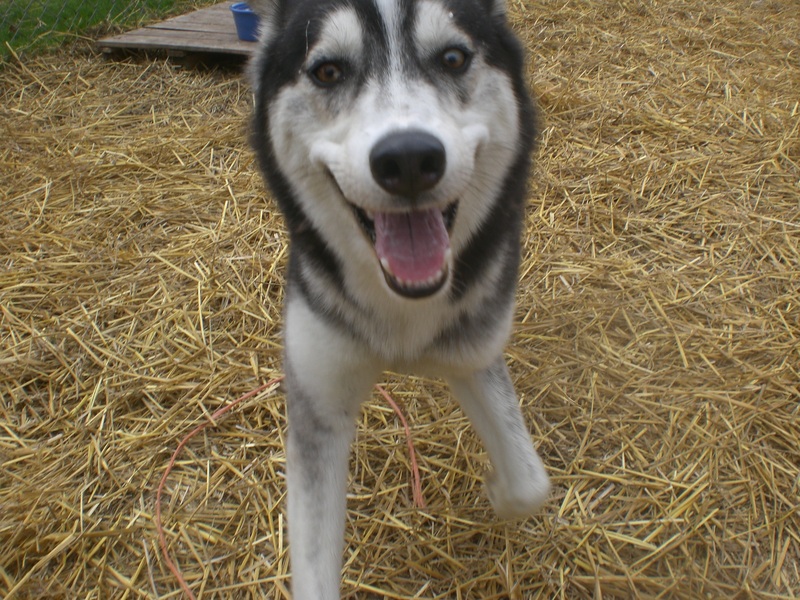 He would be happiest in an active home, since his breed is meant to run long distances. Murphy is sure to bring a smile to his new family’s face every day, so come in soon to meet him! 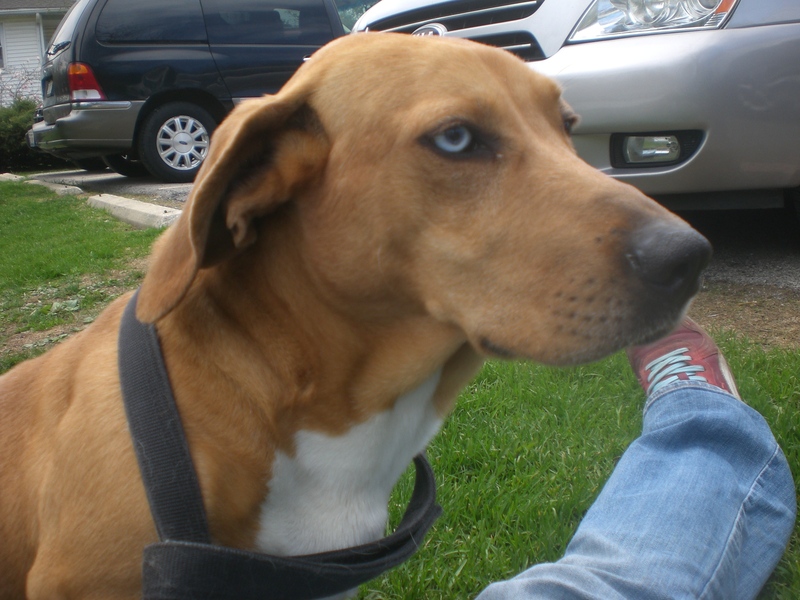 Clint the two-year-old Basset Hound mix is a real sweetie. He was extremely shy when he first arrived at the shelter, but he’s starting to get better–though he is still a little unsure of new things, like when we walked through the brand-new hallway by the cat wing (which you should definitely check out, by the way, even if you aren’t looking for a cat). Once we spent some time walking around together, though, Clint perked up and enjoyed himself. Clint is the cutest! Look at those white paws! Clint will catch your eye right away because he is so darn cute. 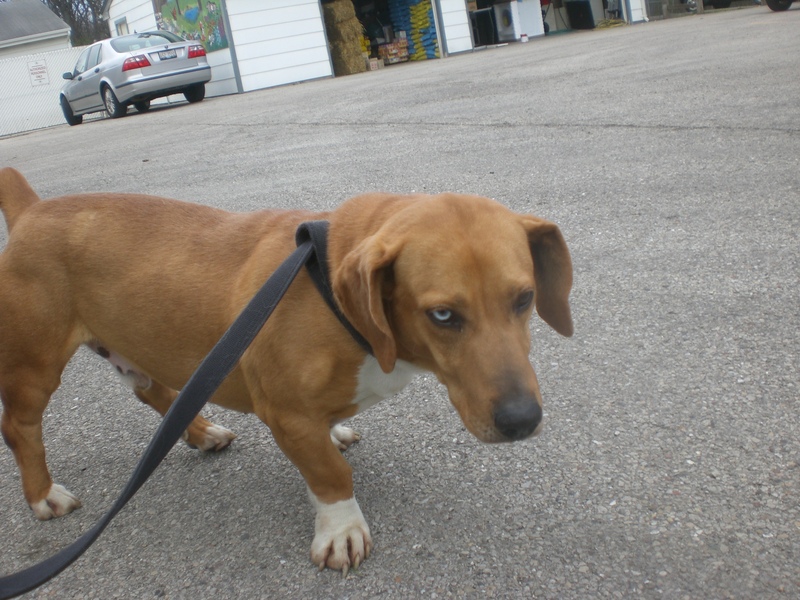 He (like Elmo) has one blue eye and one brown eye, and he’s the first Basset mix I’ve seen with a docked tail, which is just the cutest little thing. I sat down in the grass at one point, and Clint slowly started to take tiny steps closer and closer until he had one paw in my lap. From there, I scratched his chin until he was comfortable enough to actually sit in my lap. 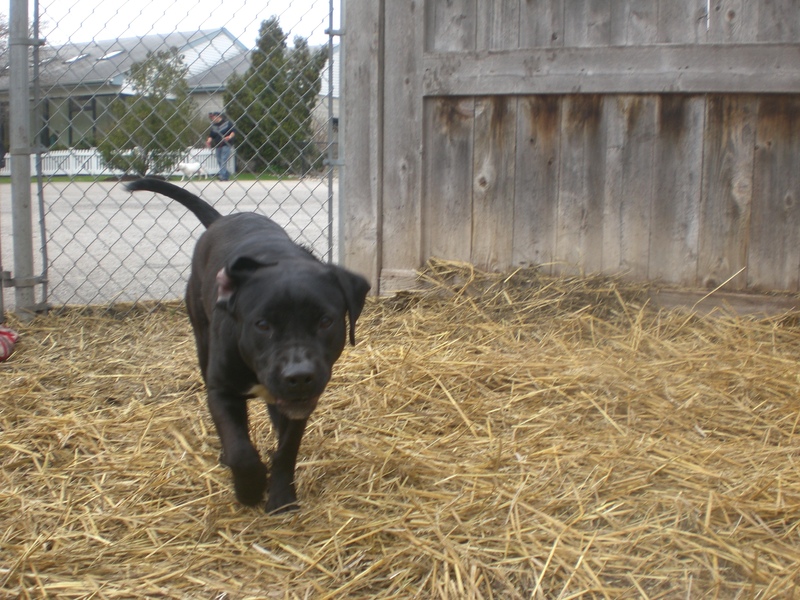 Clint used to have a kennelmate, so he could go to a home with or without another doggy friend. Stop by the shelter soon to see if he’s the one for you! I also saw plenty of my other furry friends, like Corky (who is such a pro at sitting for a treat), Giorgio, Lady, Mister, Molly (who loves to give doggy hugs), the other Molly (who will catch anything you throw–in midair! ), Peggy (who did so well with her training at Tops Kennel and wants to prove how good she is), Rosco (who loves to get his hips scratched) and Wilbur, Rusty, Shamrock, and Tom-Tom (who is also a good doggy-hug giver). Posted by Meet the Pooches on May 8, 2014 in Dog Profiles and tagged adopt, animal shelter, animals, Basset Hound, Chicago, dogs, Husky, Labrador Retriever, Orphans of the Storm, pets, Pit Bull Terrier. can he see ok with those two different color eyes? Is he a very vocal basset barks a lot? Does he have food aggressions? What does he like to do for fun? What kind of toys does he like? Do you know how much he weighs? Those are great questions! Hopefully these answers help. 1) Yes, eye color doesn’t affect his vision at all; Clint can see just fine. 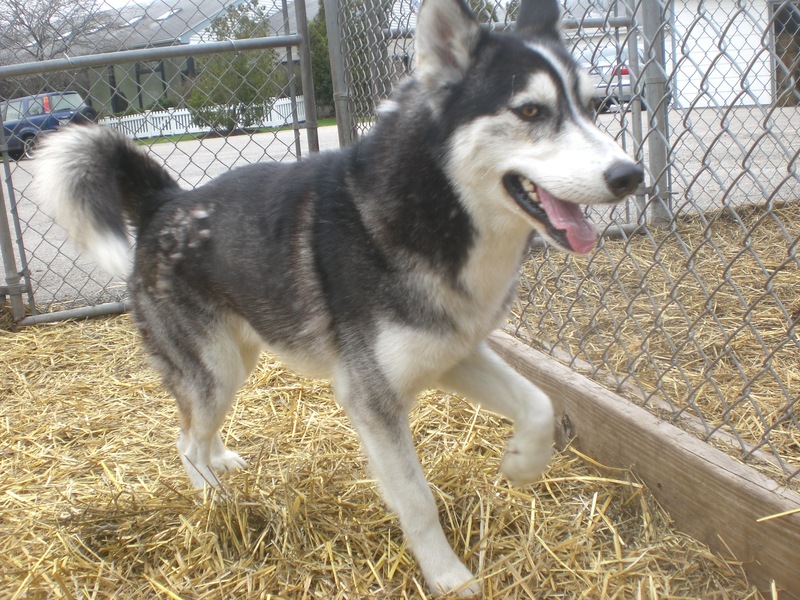 2) He sometimes barks inside his kennel, but pretty much all of the dogs at the shelter do. When we were out for our walk, though, he didn’t bark at all. 3) I haven’t seen him around food or treats so I’m afraid I can’t answer the food aggression question, but he did previously share a kennel with another dog and they would be fed at the same time. 4) He was a little too shy to play when I was with him, but you can always bring toys and treats to the shelter and see what he responds to! 5) My guess is that he weighs between 30-40 pounds. If you call Orphans of the Storm at 847-945-0235, they will have more detailed information for you from his file.